Meditation is another techniques with which we can easily get cure from black magic and evil powers, but the main thing in this type of healing therapy is the guidance of teachers because all the healing is based on the spiritual symptoms, there are different types of meditation for special purposes with which we can gain power of lights of God in the form of Noor and our body heals that power and each part of our body gradually get absorbs the healing light, According to the Quran Allah mentioned in the Quran "recite the name of Allah with ponder". 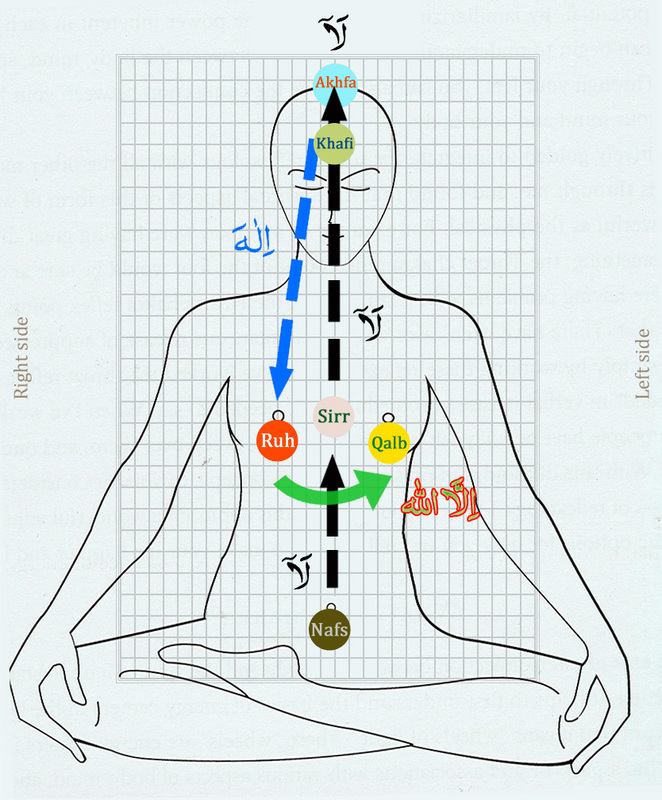 So the meditation is the only way with which we can recite the name of Allah and can feels the God power around us as i have mentioned above that there are different types of meditations usually peoples are practicing all over the world, the meditation is another best techniques to get cure from all spiritual diseases and good for physical and mental health. 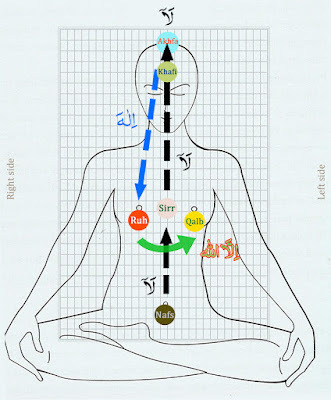 The latif commonly known as chakras the points of seven different lights in our body are commonly known as the points which maintains of body and remains it balance same as in the picture which are given below you can see the different point in our body these are known as latif. Another most important thing in this section i would like to inform you that according to spiritual practices and slasil spiritual paths only the Naqshband has 36 different types of meditation and insded the 7 top level Slasils also have these type of meditation practices who the spiritual Sufis are teaching their students from over 1000 years. If you would like to start meditation and would like to know the techniques of meditation and its perfect methods you can get in touch with us for learning of all these things.